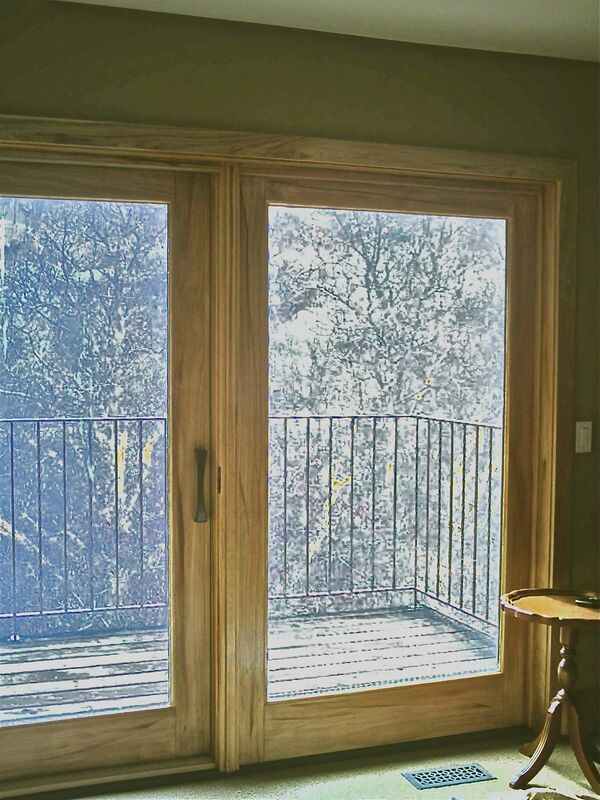 These bedroom patio doors are made of pine. The casings are made of hickory. 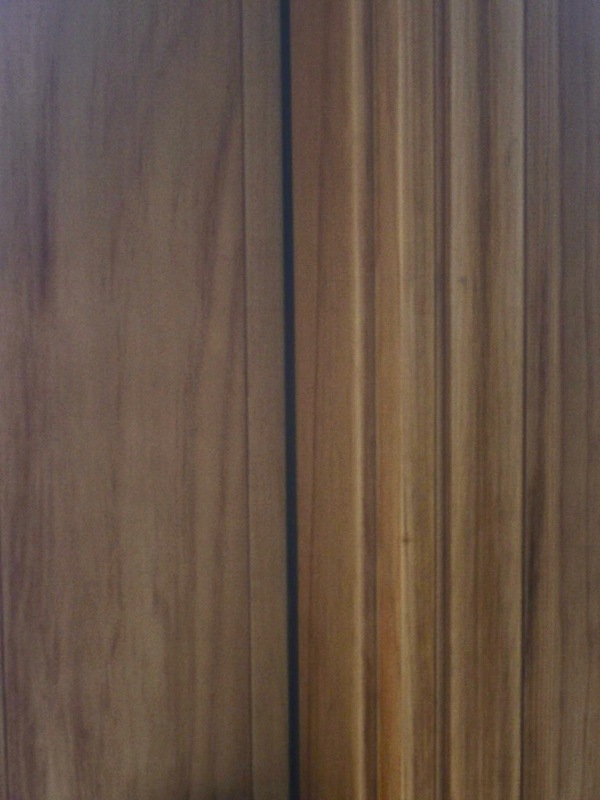 The doors were woodgrained to match the casings. A light undercoat was put on first . the grain of the hickory casings. The home is in Salt Lake City.